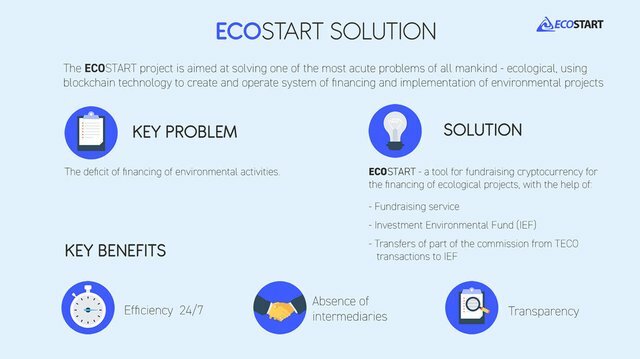 EcoStart: a new approach to financing environmental projects using Blockchain technology. New cryptocurrency for our planet. 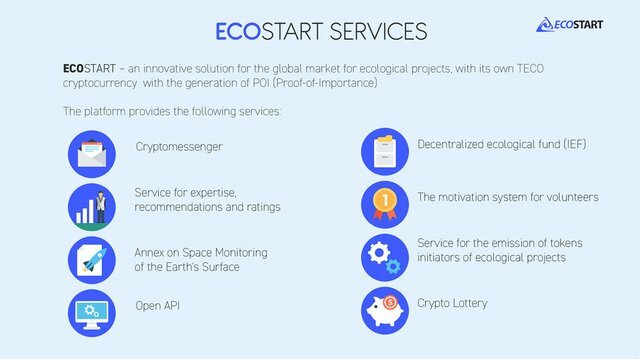 EcoStart mission is to completely democratize process of investment of environmental projects by eliminating intermediaries and placing the power and control where it belongs – entirely into the hands of investors and ECN crypto currency holders. 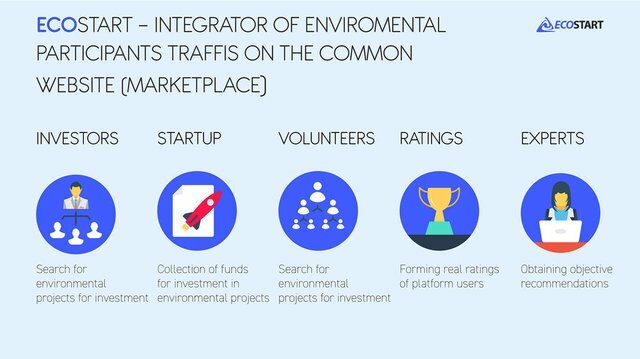 Applications and tools that are developed in the EcoStart project will significantly reduce the problems inherent in the traditional system of investing environmental projects can provide new business opportunities and attract capital, and investors – to access a wider range of investments. 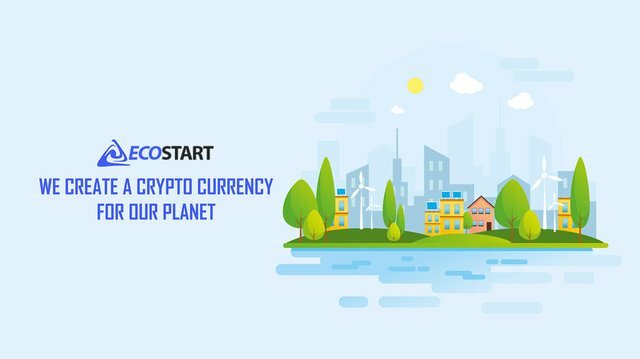 These properties of the block will enable to ensure the participation of the eco-community of the EcoStart platform in the discussion and decision-making on the financing of an environmental projects. EcoStart will create and publish monthly reports on the implementation of goals and objectives from the roadmap. 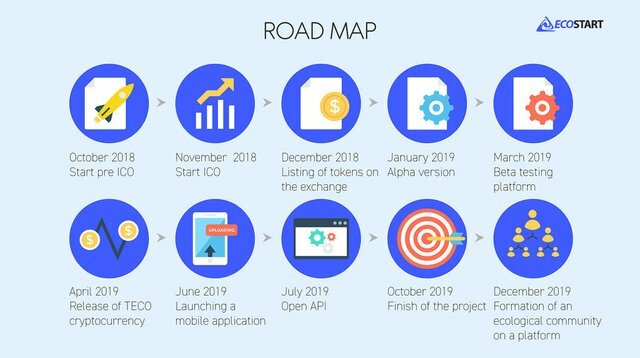 For the purposes of implementing the road map and developing the project, a corporate development plan and a marketing and advertising plan will be formed. 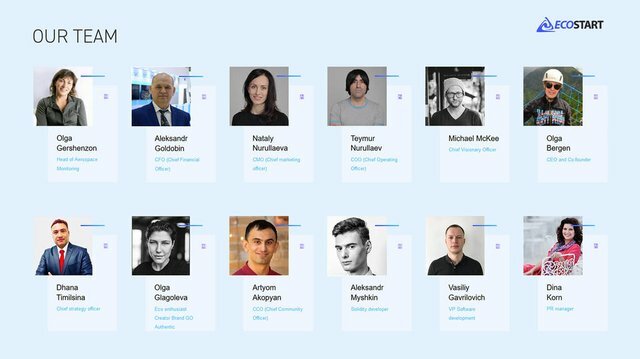 Within the corporate development plan, highly professional staff will be employed, offices will be opened in financial centers of the world if necessary, and necessary permits and licenses are obtained. 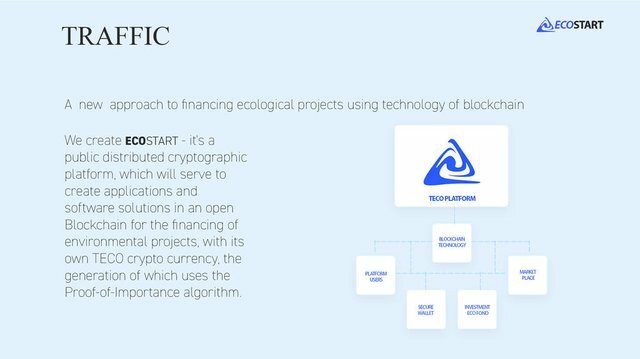 During the initial placement of coins, EcoStart will issue virtual currency tokens called TerraEcoToken (TER) on the unit controlled by a smart contract. The purpose of the collection is $ 11,85 million. This amount is justified by the cost of developing the EcoStart platform, its scaling and the creation of a global public geoportal with the placement of waste sites based on aerospace monitoring of the earth’s surface. 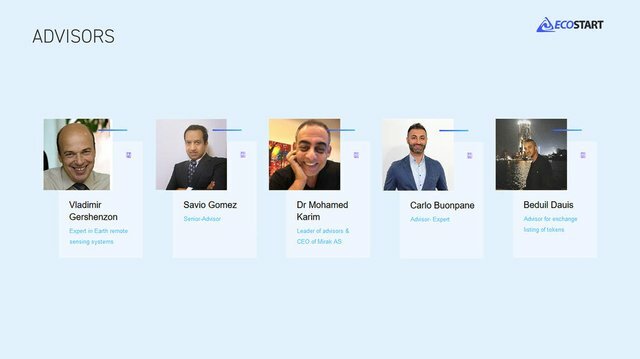 Pre-ICO and ICO platforms EcoStart will be implemented on the public blockade of Ethereum with the release of a token compatible with ERC20, whose interface allows you to deploy a standard token that is compatible with the existing infrastructure of the ecosystem Ethereum, including development tools, wallets and exchangers. tokens independently. 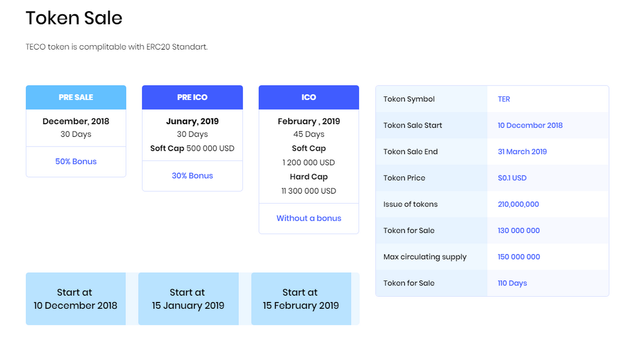 We will also provide an opportunity to buy and sell TER tokens on the exchange.